Niels Christian Nielsen, a Danish national fighting extradition to India for his alleged role in the 1997 air-drop of ammunition over Purulia, has said the operation was sanctioned by the Central government to destabilise West Bengal's Left Front government. Central Bureau of Investigation detectives have been seeking the extradition of Mr. Nielsen, also known by the alias Kim Davy, saying he was the key figure in organising the drop of several hundred assault rifles, ammunition and explosives to help the murky Ananda Marga cult start an anti-communist insurgency. Little is known about the 1961-born Nielsen, who is reported to be wanted in several countries on charges related to arms trafficking and money laundering. For years a member of the cult, Mr. Davy has also been linked to the South Sudan insurgent leader John Garang. The CBI says that Mr Nielson met with Mr. Bleach at Copenhagen in August, 1995, and asked him to supply 2,500 assault rifles and 1.5 million rounds of ammunition. In September that year, the men met again in Bangkok, where the order was reduced to 500 assault rifles, as well as an aircraft for executing the drop over Purulia. Mr. Nielson succeeded in organising papers which persuaded Bulgaria to sell the weapons, which its authorities thought were intended for the Bangladesh armed forces. Though sensational, Mr. Nielsen's claims are not new — and he has offered no new evidence in support of his claims. In a 1995 interview to the British Broadcasting Corporation, he first asserted that the Indian government had deliberately overlooked intelligence warnings of the imminent arms-drop, hoping to precipitate an insurgency in West Bengal. 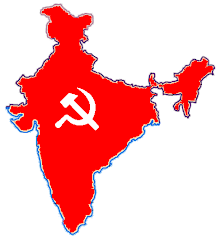 “An armed insurgency in West Bengal would have allowed Delhi impose direct rule on the State and oust the ruling Communists,” the BBC reported him as saying. Mr. Nielsen's claim that his escape was facilitated by the government was also made earlier by his organisation, the Ananda Marg. Bhaveshanand Avadhuta, a spokesperson for the group, said that it had “good reasons to believe Davy was escorted away by an Indian intelligence official called Dasan”. But even though little evidence has emerged to support the claims, a succession of unexplained errors by Indian authorities has meant speculation about the operation has refused to go away. Mr. Bleach, a retired special forces officer who ran an arms firm, had notified the North Yorkshire police of the planned arms drop in August 1995. He claims to have been asked to go ahead with purchasing the aircraft and continue providing information on the plot; British authorities deny this. Later, in November, MI5, the British intelligence service, notified India that the arms drop was imminent. A London-based British government official involved with the case said at least three meetings took place to discuss events as they unfolded, though he would not share details. The West Bengal government was not immediately notified of the threat. Intelligence Bureau personnel, it later emerged, carried out reconnaissance at possible airstrips in the area, but no on-ground surveillance was mounted by the West Bengal Police. Mr. Nielsen himself evaded arrest at the Mumbai airport, after the aircraft was finally forced to land by an Indian Air Force jet. Investigators say he bribed authorities at the airport to escape.